Michael J. Shea is a corporate transactional attorney with more than 20 years of experience in which he has focused primarily on the internet, e-commerce, online marketing and loyalty sectors. Mike’s transactional practice broadly encompasses technology licensing, SaaS, software EULA’s and service-level agreements. Mike also has extensive experience in the fields of mergers and acquisitions, venture capital transactions, securities offerings and reporting, and complex commercial agreements in the internet, technology and biotechnology sectors. His corporate practice includes entity formations, equity compensation plans and agreements, corporate governance, and SEC reporting. 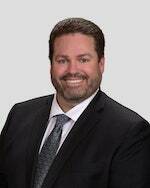 Prior to Structure Law Group, Mike worked with Herman Law, LLC where he provided service for mergers and acquisitions, technology transfers and licensing, private equity transactions, and full-service corporate representation. Before joining Herman Law, Mike was Deputy General Counsel at Rakuten Marketing, where his practice focused on early stage investments, joint ventures and strategic partnerships, mergers & acquisitions and complex commercial agreements. Mike’s practice has included substantial international experience from his time with the Japanese internet services giant and other global law firms, including a stint in the Hong Kong office of Morrison & Foerster. Mike also attended elementary and high school in Vienna, Austria before graduating from Brown University and eventually Harvard Law School. In his free time, Mike likes to travel. A former soccer and rugby player, Mike enjoys staying active as well as spending time with his family.